This article was written by Transhumanist Artist, Writer, & Activist Dinorah Delfin. 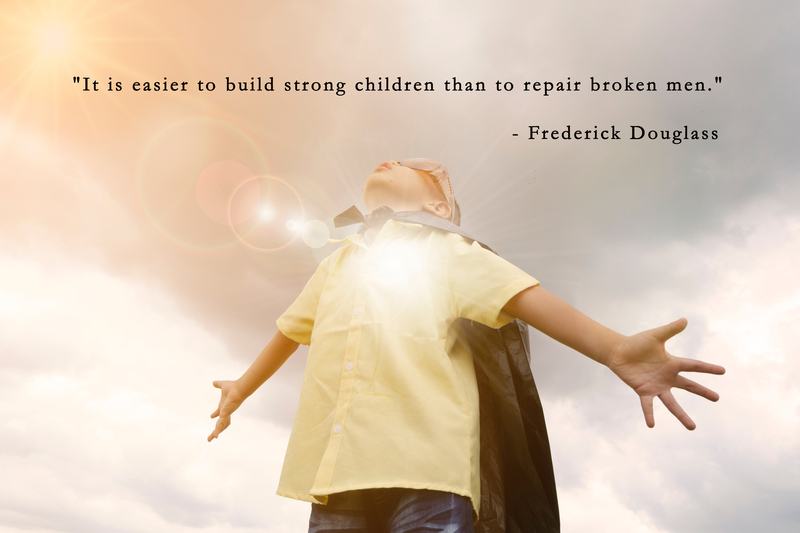 “It is easier to build strong children than to repair broken men.” Or, is it? Integral Transhumanism adopts a framework that accounts for individual and collective enhancement and consciousness expansion through a holistic neurological reprogramming at any stage of one’s emotional, intellectual, and spiritual development. Whether it is through genetic enhancement, brain-computer interface, holistic wellness & education, or shamanic entheogenic practices integrated into modern life, Integral Transhumanism advocates for enhanced cognitive and neurological states to achieve heightened spiritual awareness and wisdom. This level of maturity will allow humanity to work towards a sustainable equilibrium between social and natural environments. Integral Transhumanism takes into account that knowledge or intelligence aren’t sufficient if they don’t entail a holistic integration of scientific reductionism & rationalism, with humanity’s deep-felt intuition and connection to its nonphysical quantum dimensions. Without an understanding of this vibrational reality, and its social and universal psychological implications, humanity will fail to design cognitive models and policies that are safe and grounded in the maintenance of the common good as it will perpetuate the disconnect between fragmented knowledge and the right course of action. To preserve transhumanist ideals’ inherent ethical and altruistic worldview, we must account for a truly holistic integration of mind, body and the collective consciousness. Spiritual Superawareness, therefore, constitutes the highest achievement of Superintelligence. Albert Einstein once said, “We can’t fix our problems from the same consciousness that created it.” A holistic and sustainable re-engineering of humanity must account for the understanding of consciousness itself to give rise to truly benevolent beings, and new and effective ways to affect change. One must not fear the evolution of humanity’s inherent technological ingenuity and desire to continue pushing through the boundaries of its limitations, but one should fear ignorance and apathy. One must not fear that which we might think as “unnatural” because humans are anything but willful subjects to nature’s way. We don’t tend to label the domestication of plants and animals, education, art, cars, dental floss, eyeglasses, pacemakers, in-vitro fertilization, as “unnatural”, and we don’t necessarily think of “natural” things like plagues, meteorites, parasites, or polio as desirable things either. One must not fear that advanced enhancement technologies might be initially available to only the wealthy, as such fear is counterproductive towards our efforts to democratize these technologies. Furthermore, enhanced individuals with heightened cognitive and spiritual awareness might actually nurture greater compassion for the have-nots, and reduce, rather than exacerbate, socio-economic tensions. Integral Transhumanism wishes to harness this growing momentum to help inspire individuals and societies at all stages of maturity towards a more just, beautiful, and holistic expression of its most authentic form. Note: This article was inspired by an essay written by Michael Tennison, titled “Integral Transhumanism: The Holistic Leap Forward” (2010). Ms. Delfin is the Director of Admissions and Public Relations of the U.S. Transhumanist Party. The U.S. Transhumanist Party will endeavor to open one of these general comment threads per quarter. This comment thread pertains to the months of October, November, and December 2018. The video recording of Gennady Stolyarov II’s presentation at the “Meet the Candidates” Night (October 17, 2018) at the Indian Hills General Improvement District has been posted here. Mr. Stolyarov’s candidacy has previously been unanimously endorsed by a vote of the U.S. Transhumanist Party’s members. There is some technical flaw with the audio around 8:52 – the time that Mr. Stolyarov discusses protecting homeowners’ property rights and opposing the establishment of a homeowners’ association. You will hear several parts of these remarks simultaneously – but you will likely still be able to discern Mr. Stolyarov’s position. About a minute afterward, the proper linear audio stream resumes. I am pleased with the outcome of “Meet the Candidates” Night at the Indian Hills General Improvement District this evening. The seats were nearly all filled, and approximately 25 residents appeared in person. All candidates’ responses were recorded and will be posted on YouTube in the coming days. I will provide links as soon as I become aware of them. I was able to use the allotted time to present my intended messages regarding my qualifications and my priorities of maintaining essential infrastructure, promoting growth, supporting technological and factually, rationally grounded solutions, and being attentive to all residents and representing the District as a whole in a nonpartisan manner. The statements and questions were thoughtful and generated a civil, meaningful discussion about events in the District. This is what political activity should be about – not factionalism, tribalism, or blind partisanship. Many residents and the other candidates appeared to be sympathetic to my approach and positions – and my hope is that this will enable them to recognize me as a good consensus candidate who can draw support from all constituencies in the District. I stated at the event that I would be honored to work with any of the other candidates if they are elected to the Board alongside me. Whether my objective of not being last in the vote count can be met remains to be seen; this election will probably surprise everyone. However, this event most definitely helped – and I hope the videos will help as well. Early voting in Douglas County begins this Saturday, October 20, from 10 a.m. to 2 p.m. at the Courthouse in Minden. I have been conducting research on the ballot questions and candidates in the contested races for several hours per day; now I am close to finalizing my own preferences. Please inform any of your acquaintances who reside in the Indian Hills GID about me and my candidacy!